Question of the Week – Quick, what’s the one beauty product you want most right now. Answer – the new BarryM nail polishes, they looks NICE! Oh, and the Dior My Lady palette… but don’t tell Mr. L about that one k? Clumps of Mascara – is in looooooove (yes, that much) with OPI’s Liquid Sand nail polishes. Trendy? But who cares…textured nail polish is some kind of cool! EauMG – Here are Victoria’s perfume picks to wear this spring! Gouldylox Reviews – I’m loving Angie Miller‘s look on American Idol. Instead of spending hundreds, get her full face for less than $75! 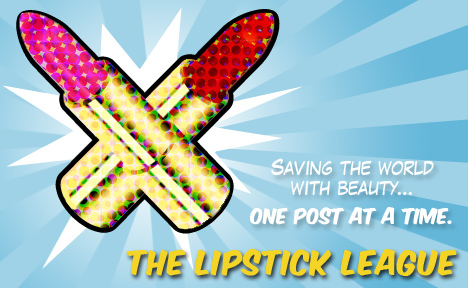 Lipglossiping – explores the curious world of the girl crush and invites you to talk about the women who inspire you. My Beauty Bunny – is thrilled to announce the site has received a make-over! Come check out the new digs and while you are there see what Peter Dinklage from ‘Game of Thrones’ has to say about animal testing! Nouveau Cheap – reviews the brand new Jesse’s Girl Waterproof Liquid Eyeliner (inspired by Japanese calligraphy brushes) and gives you a chance to win your very own–and more! Pink Sith – takes you to an imaginary land of pink and glitter and unicorns when she tells you about Etude House Juicy Cocktail Gradation Nails in #3 Lovely Violet. Prime Beauty – tests out Aveda’s Petal Essence Collection for spring; a wonderful mix of pastels as well as vibrant colors! Phyrra – raves about the Jesse’s Girl Waterproof Liquid Eyeliner! There’s also a great giveaway to enter. Vampy Varnish – Thinks some of the new Zoya PixieDust shades for Summer 2013 rock! Beauty Junkies Unite – Amber breaks down eight very affordable BB creams for every need, and offers you a chance to win a $50 CVS/pharmacy gift card in the process, so that you can go buy your own fave BB! Guest Post of the Week, as chosen by Clumps of Mascara – The Gorgeous Gleam is a fabuuuulous beauty blog by NYC’s Erica. Her makeup skills always leave my mouth wide open. And she always has me wanting things I don’t even really need. Like these darling little lip balms.